Voted Best of Beauty in 2011 by Allure Magazine, Paul Mitchell's Awapuhi Wild Ginger Styling Treatment Oil is definitely a show stopper. I was introduced to the product this weekend by my friend Rana. 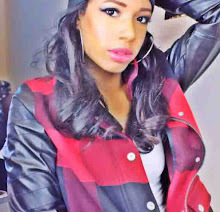 Remember when I did a profile on her for my Beauty and Fashion Talk feature? click here. Rana washed her hair and then blew it out, applied some of the treatment oil, curled her hair and then applied more oil at the end. The before and after picture is below. Doesn't that look amazing? The product is supposed to smooth and add shine and as you can see from the photo above it does just that. 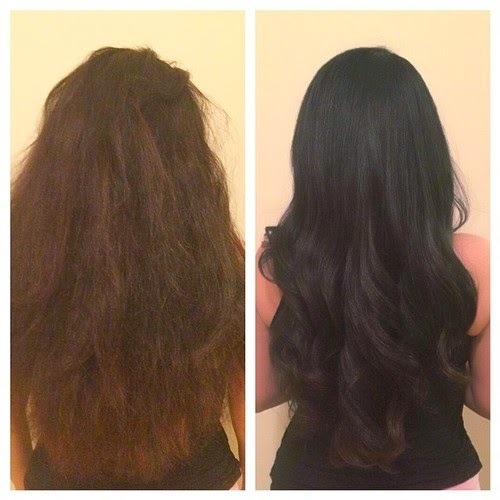 Applying oil to your hair can be scary because some oils can weigh it down and make it feel "greasy." 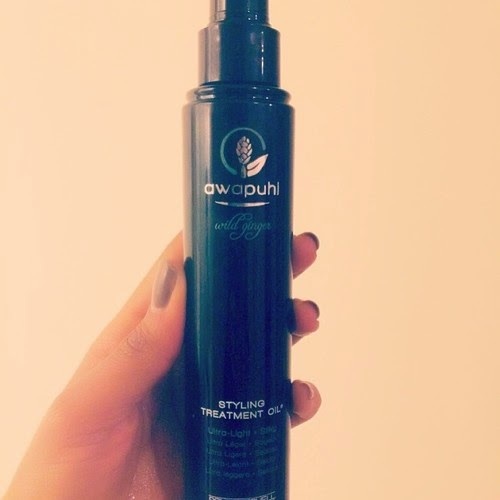 Fortunately, Paul Mitchell's Awapuhi Wild Ginger Styling Treatment Oil is transparent and colorless, with a strong ginger scent and does not weigh down the hair. The best part about this product is the smell. It's amazing! After applying some to her hair, Rana applied a tiny dime size amount to mine. My hair instantly looked less frizzy and looked a lot more vibrant. I just ordered mine from amazon.com! I can't wait for it to arrive. Do you have a favorite styling treatment oil? Comment below. 4 comments on "AWAPUHI STYLING TREATMENT OIL REVIEW "
I need a big help for my dry bleached hair too! Do you have female therapists at your disposal? My younger sis is suffering from a fatal disease. Need your urgent help.